"Always has good advice to give and is very helpful when it comes to tips on upkeep." "They show genuine care for one's total health and well-being. I highly recommend!" "I feel that the doctor and her staff are taking great care of my dental health." "Dr. Bien has been a great friend to my family, and an even better dentist." "You will not find a more caring doctor!" "I would highly recommend Dr. Bien to anyone looking for a GREAT dentist." "I have a beautiful smile because of her touch. Thanks Dr. Bien for your amazing hands." 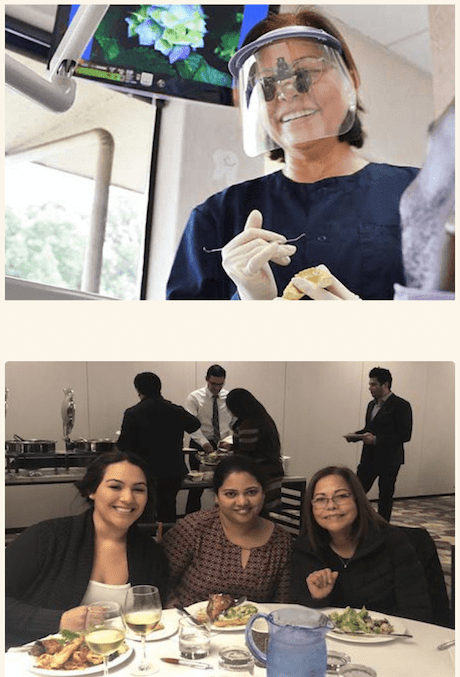 Greenhills Dental Care has been serving the oral health needs of the men, women, and children in Fremont, California, and the neighboring communities since 1989. With a team consisting of Shirley H. Bien, DMD; Diana Belli, DDS; and Keun C. Lee DDS, Greenhills Dental Care offers the full range of general dentistry services with a specific focus on treating issues relating to sleep apnea, gum and bone disease, restorative needs, full mouth construction, root canals, and oral cancer. The team also offers emergency dentistry and InvisalignⓇ clear aligners. As a family practice committed to providing their patients with a safe and welcoming space for dental treatment, the team is dedicated to building long-lasting relationships by offering comprehensive diagnostic and preventive services. Invested in providing exceptional dental care, Dr. Bien and her team won’t let you go home unless they’re satisfied with their work, happy with your bite, and you’re entirely content with the results. This attention to detail is at the core of Greenhills Dental Care’s philosophy. Call the office or schedule an appointment online today to learn more. $149 for X-Rays & Cleaning! Call the office for more information.